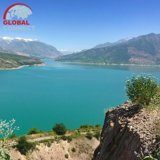 Hiking and trekking Tour to Uzbekistan: Avoid the crowds, explore the most wild and remote parts of Uzbekistan. Discover our different kinds of hiking tours in Uzbekistan, including mountain hiking, hiking along the shore of the Aral Sea and much more. Arrive in Tashkent. 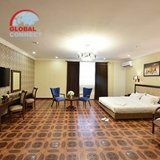 A driver will meet you at the Tashkent International Airport and transfer you to the Domestic Airport. 19:25 Arrive in Nukus. Check in. Free time. Overnight at the hotel. 09:00 Drive to Muynak through Kurgancha Kala. 12:00 Arrive in Muynak. Lunch in a local cafe. Visit Muynak Museum and Cemetery of ships. 14:00 Drive to the shores of the Aral Sea. 17:00 Arrive in the Yurt Camp located at the shores of the Aral Sea. Hiking, trekking along the shore of the Aral Sea. Trekking the Great Ustyurt Canyons. Dinner in the Yurt Camp. Overnight in the Yurt Camp. 08:00 Breakfast in the Yurt Camp. 09:00 Drive to Sudochie Lake. 13:00 Drive to Nukus through Barsa Kelmes, Gyaur Kala and Mizdakhan. 17:30 Arrive in Nukus. End of the tour. 07:30 Transfer to the Airport. 11:05 Arrive in Tashkent. Start sightseeing from Old City part of Tashkent. Visit Khast Imam - a cultic architectural complex and the religious center of Tashkent where the world famous Uthman Quran has been preserved. Khast Imam complex consists of Barak-Khan Madrasah, Tillya Sheikh Mosque, Muyi Muborak Madrasah, Kaffal Shashi Mausoleum, New Khazrati Imam Mosque and the Muftiate building. Drive to Chorsu Bazaar. After exploring the bazaar visit the Monument of Courage, Amir Temur Square, Alisher Navoi State Academic Bolshoi Theatre, Memorial Complex of Memory of Repression Victims, and Independence Square. Dinner. Overnight at the hotel. 09:00 Transfer to Chimgan Mountains (Western Tien-Shan Mountains) (92 km). 10:30 Arrive in Charvak. Hiking and trekking in the mountains. Take a cableway ride. Transfer to the shore of the Charvak Reservoir. Drive to Chinara’s restaurant to have lunch under the shade of four ancient giant plane tree. On the territory of the restaurant, there are unique petroglyphs and rock carvings made by prehistoric people. Transfer back to the hotel in Tashkent. Free time. Overnight at the hotel. 09:00 Breakfast at the hotel. Free time. 11:00 Check out. Transfer to the international airport.